V-Go Disposable Insulin Device for Type 2 Diabetes: In most instances type 2 diabetes can be controlled through diet and exercise, plus oral medication when needed. There are times, though, when these three critical ingredients aren’t enough to control the patient’s blood sugar levels. When that occurs, the patient is advised to add injectible insulin in their regimen to control their diabetes. The V-Go has been available since March 2011 in the United States, as it was given approval by the Food and Drug Administration in December 2010. 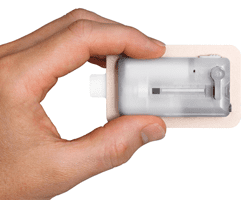 The V-Go has been described as a disposable insulin source, and there are two different medications that have been approved for use with the device – Humalog and NovoLog. The device was recently approved for use in the United Kingdom for those suffering from type 2 diabetes. It received the CE Mark approval for sale in the European Economic Area. This entry was posted in Diabetes News on July 27, 2011 by admin.